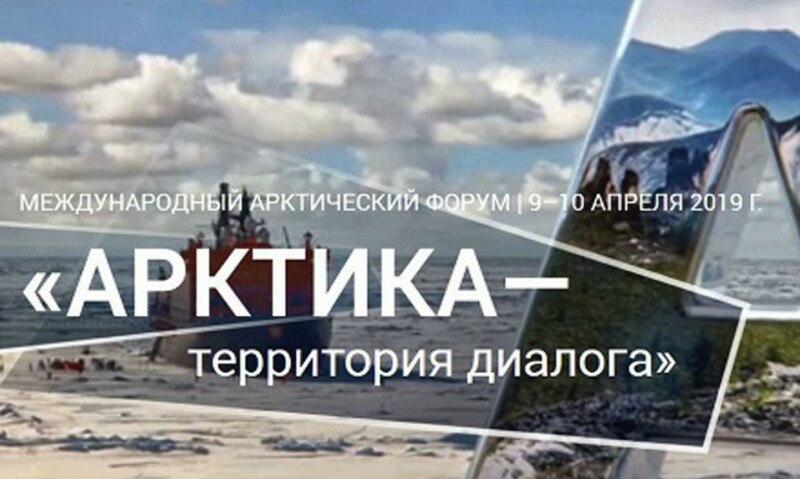 The fifth International Arctic Forum “Arctic — Territory of Dialogue” will start its work in St. Petersburg on the 9th of April. Official representatives of the Arctic and non-Arctic states, international organizations, representatives of business, expert and academic community, public figures being busy with northern issues will participate in it. Yamal-Nenets Autonomous Okrug will traditionally take an active part in events of the forum. The exposition that opens up investment potential of the region will be presented in the EXPOFORUM Convention and Exhibition Centre. The delegation of Yamal being headed by the governor Dmitry Artyukhov will work at business venues of the forum, will participate in sessions and discussions on key areas of Arctic development. Dmitry Artyukhov is planning to participate in the sessions “The Northern Sea Route — the key to the development of the Russian Arctic”, where he will inform about implementation of the project “The Northern Latitudinal Railway-2”, and “Production and use of LNG in the Arctic”. The representatives of the government of Yamal will participate in discussions on forming of infrastructure of northern ports, support of private investments, development of healthcare, education, tourism and scientific activity. The projects on construction of the Northern Latitudinal Railway, the railway corridor “Obskaya — Bovanenkovo — Sabetta (The Northern Latitudinal Railway-2)”, bridge passages across the Ob and the Pur rivers, modernization of the airport in Noviy Urengoy will be presented at the exposition. It will contain visual information about contribution of the region to development of the Arctic zone of the Russian Federation, its economic and investment indicators. Visitors to the stand of Yamal will get acquainted with ecological projects of the public organization “Green Arctic”, culture and traditions of indigenous peoples of the North. Signing of three agreements on cooperation of Yamal-Nenets Autonomous Okrug is being expected within the forum, as the press service of the head of the region informs. The first is with the Moscow Institute of Physics and Technology in terms of creation of experimental sites in the region to test modern technologies for the Arctic; other two — with Tyumen State University and Russian Federal Research Institute of Fisheries and Oceanography for implementation of joint projects within activity of the interregional scientific and educational center. As it should be reminded, the first international Arctic forum was held in 2010 and touched upon current problems of the Arctic region. In 2011, 2013 and 2017 they were devoted to formation of the Arctic transport system, ecological safety and human activity in the Arctic. In 2013 Salekhard became the venue for the forum. The presidents of three countries — Vladimir Putin (Russia), Sauli Niinistö (Finland) and Olafur Grimsson (Iceland) participated in it.